Colors by Llarowe Behead the Drama Queen and Paradise Found are two lovely shades with great names. I especially love the name of the first one. Behead the Drama Queen had a really great formula. It was thick and easy to work with and covered in two coats. Paradise Found was a bit trickier as it’s more of a jelly-like sheer formula. I used three coats but my nail tips still aren’t covered. Behead the Drama Queen is a super shimmery blackened forest green that shifts to a blue in certain lighting. The shimmer appears as emerald green, blue and pink mostly. 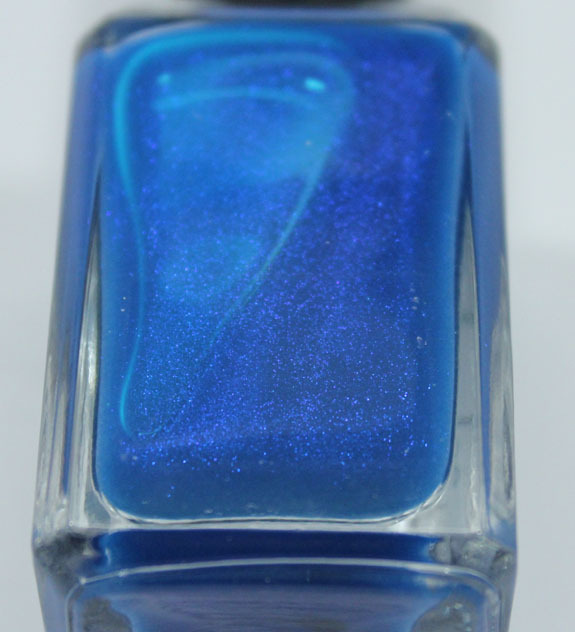 Paradise Found has a jelly-like texture and it’s a blue with sapphire shimmer. You can also see a lilac shift with it in certain lighting. As mentioned, this is three coats and I’m not fully covered. Still a nice shade! Either of these look promising to your eye?